This statistic illustrates responses to a survey concerning the importance of reading among households in France carried out in February 2015. 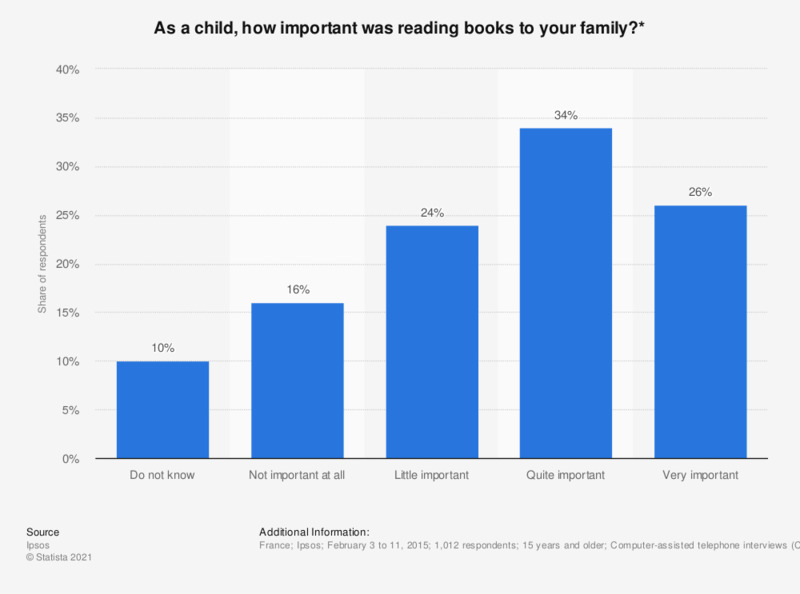 Sixteen percent of respondents reported that reading was "not important at all" in their family as a child. * This question was phrased by the source as follows, "As a child, did you have the impression that reading books in your family was very important, quite important, little important or not important at all?"